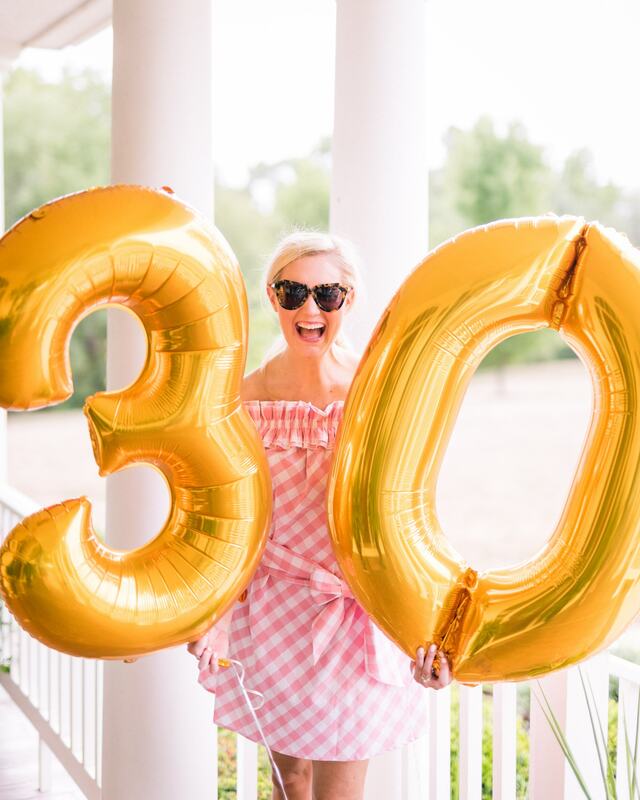 Today on the blog I wanted to share 30 random things about myself for my 30th Birthday! I’m 5’9 and was always one of the tallest girls in my class. My elbows are double jointed, so I can bend them in freakishly weird ways! I can name all US Presidents in under a minute (thank you to my 5th grade teacher)! I’m one of the girliest people you’ll ever meet, but I played volleyball, basketball, and ran track in high school. My first car was a yellow VW bug! I also had a little yellow bug when I was a toddler that I would drive around. I can’t wait to put Charleston in it! In addition to Charleston, I have an 8 year old son, a black lab named Jackson! Charleston and Jackson share the same birthday – January 29! I hate the outdoors (except the beach), and I married someone who loves every single outdoor activity. My husband and I did long distance for a year – he was in Nashville and I was in Kansas City. 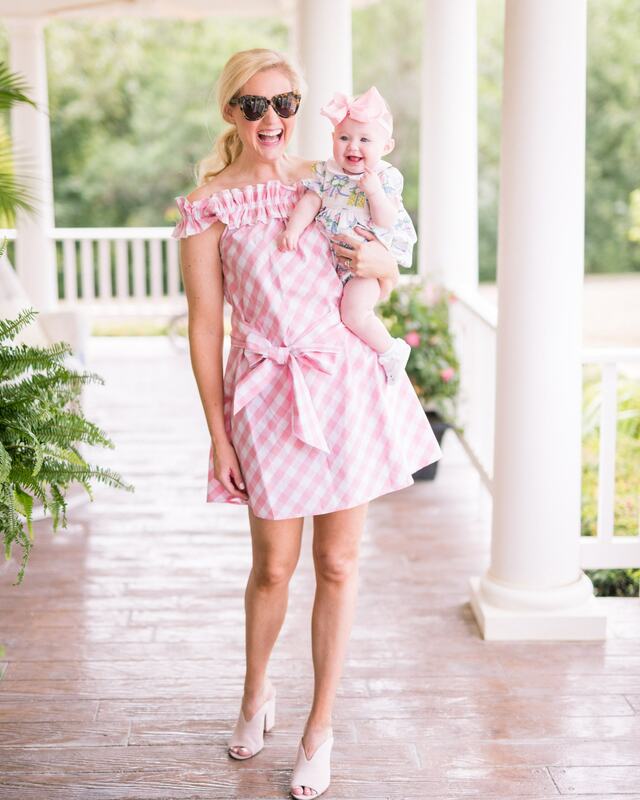 I thought I wanted to be a lawyer when I was little solely because of the movie Legally Blonde (it still might be one of my favorite movies of all time)! I would eat Mexican every single day of my life if I could. When I die, I want people to wear pink to my funeral and serve warm chocolate chip cookies and milk. My drink of choice is champagne. I wish every bar would sell this! I’m a CPA (certified public accountant) and was in public accounting for 6 years before I retired to become Charleston’s Personal Assistant (CPA). I was born and raised in Salina, Kansas. It’s right smack dab in the middle of Kansas. If you ever find yourself there or going through, you must go to The Scheme for pizza and Bogey’s for a cherry limeade and a shake! I love to travel, but I’m the worst traveler ever! I get motion sickness and nauseous in airplanes, cars (in the back seat) and boats. I am the most high maintenance person to eat with. I have a thousand allergies – wheat, nuts, shellfish, pineapple, rosemary, and sesame seeds to name a few. I carry and Epi Pen wherever I go! I’m a diehard Kansas Jayhawks basketball fan and don’t miss watching a single game! My first job was at Finish Line (so random, but my best friend worked there and all the high school boys would come in – haha). I was a Chi Omega in college and met some of my very best friends! We all still stay in contact and love our reunions! The first blog I ever read was Atlantic Pacific in college, and I thought it was the coolest concept ever! I so wish I would have started blogging at that time! Questionnaires always ask what are my hobbies, and they always don’t sound too great – shopping, Netflix, brunch – just to name a few! My husband was the person who encouraged me to finally start a blog. He is also my photographer and is completely self-taught! My mom and I are best friends, and I call her multiple times a day. 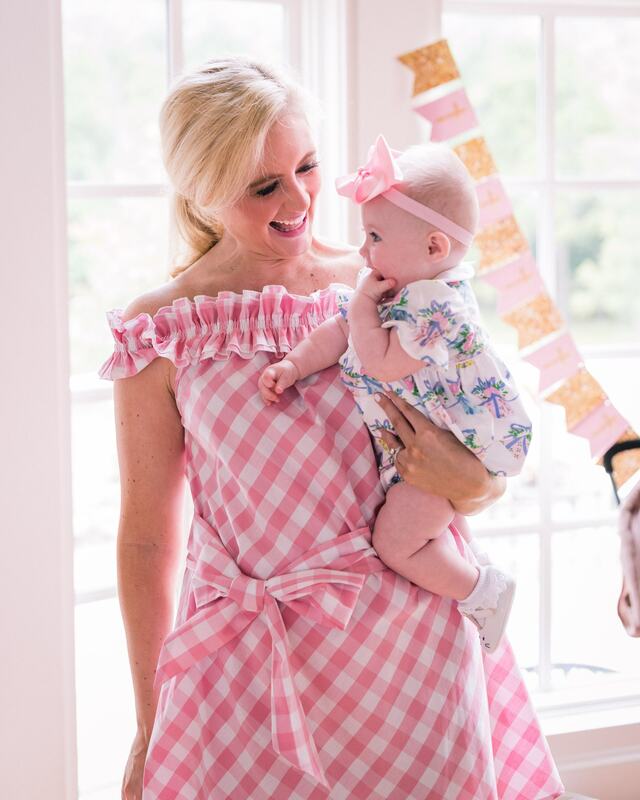 She also shares my passion for fashion and finds so many of the cute clothes I put on the blog! I hope Charleston and I are besties too! My husband, Andrew, and I met in Kansas City while he was in medical school at KU, and I was working. He took me on the BEST first date to Webster House! We ended up getting engaged there 2 years later! I was afraid that I was going to have all boys since my husband comes from a family of 3 boys. 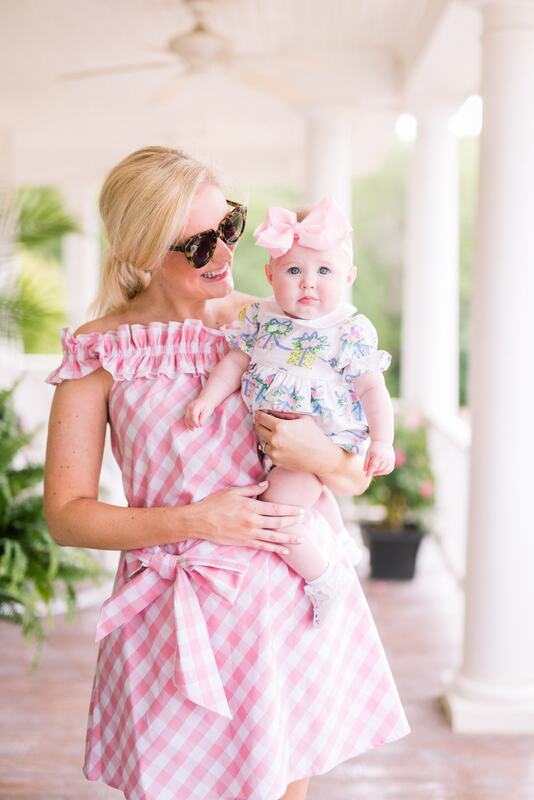 I feel like I was just meant to have Charleston and be a girl mom! I’m a Diet Coke connoisseur. The best is definitely from McDonald’s! I’m a reality tv junkie! I love anything on Bravo – Housewives, Southern Charm, & Vanderpump to name a few! 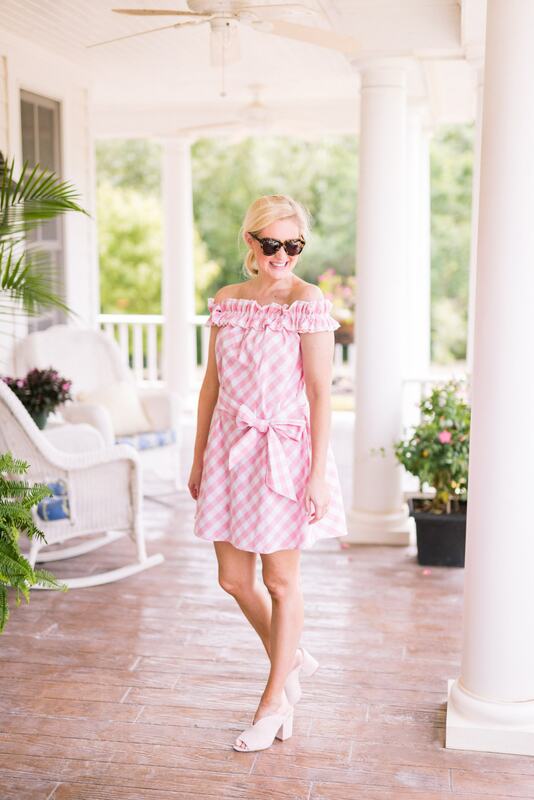 I started The Broke Brooke because I was so frustrated with constantly clicking on blogger’s links only to find out items were ridiculously expensive! I wanted to create a source for affordable fashion! Thank you so much for following along with me!